Looking for best MBA options? This list of top MBA colleges in Hyderabad is sure to help you! A good selection of stocks is important for long term benefits. Indian investors have a good opportunity with a number of options to choose from. They will need to stay invested for good returns in the next one year or so. Sunteck Realty: A leading real estate developer in the Mumbai Metropolitan Region, Sunteck Realty is known for building premium residential and commercials properties. It stems a large part of its revenue from its ultra-luxurious project at Bandra Kurla Complex (BKC) and mixed use development project at Oshiwara District Center (ODC). In the next 3-4 years, these projects are capable of generating a cash flow of more than Rs 30 bn. The company has already sold 2000 units worth more than Rs 600 cr during the launch of the affordable housing project in September 2018 at Naigaon, Mumbai. Rajesh Exports: The world’s largest gold processing company, Rajesh Exports revealed the unaudited consolidated revenue figures at Rs 4, 40,172.11 million for the quarter that ended on December 31, 2018. The revenue growth was marked at 6.50 per cent in comparison to the last quarter. Even after tax deduction, the Profit after Tax (PAT) figures increased by 4.70 per cent as compared to Q3 2017 at Rs 3,159.68 million. The company’s stocks have increased by 561% in six years. 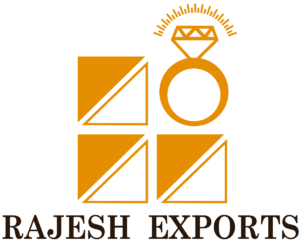 Rajesh Exports can prove to be one of the best options for long term investment with the stocks growing from Rs 573.10 to Rs 687.55 in the last one month. 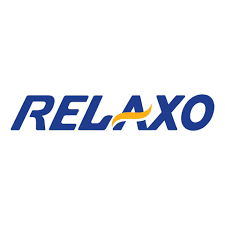 Relaxo Footwear: Holding a dominant market in low priced branded space, Relaxo Footwear Ltd is among the leaders in the footwear space. The revenue and PAT of 14 per cent and 29 per cent CAGR in the last 5 years bodes well for the company. The expected equity return for FY19-21E will be around 23 per cent, with an increasing customer base. The stock would be valued at 38x (premium to its last 5-year avg. valuation), with a target price of Rs 911 best in class return ratios amongst the peers, and good growth prospects. Asian Paints: Ongoing expansions and a continued dominance makes Asian Paints a safe and steady blue-chip to be invested in. Traction in industrial and automotive coatings segments through joint ventures is an added advantage. The profit expected between FY18-22 is 19 per cent. The stock trades at P/E of 46x FY20 earnings and the one-year target price is placed at Rs 1750. Reliance Industries: With a great performance of Jio in the telecom industry, a similar performance in other digital ventures is much expected. The fortunes of its retailing business and strong earnings growth in core business stays at the right track. Trades at 15x FY20 earnings. One-year target price 1500. There are good stocks in the market with decent growth prospects and reasonable returns on investment. As liquidity eases and interest rates moderate, we may see a much better performance from the broader markets. Next : Looking for best MBA options? This list of top MBA colleges in Hyderabad is sure to help you! I am just an food lover that all about me. But I also love to read while eating lol. For earning I write in various niche among which writing about travel experiences is my fav. Top 10 Reasons Why Private Equity Should Invest in Africa? Top Ten is an exclusive portal that uses custom-designed analytical tools to compare and drive at measurable results. With our competitive intelligence, we deal with an array of industries which includes corporates, celebrities, doctors, hospitals, politicians, FMCGs and conglomerates, to name a few. Virat Kohli: 10 Things You Want to Know About Him! © Copyright TopTen.co.com 2018. All rights reserved.